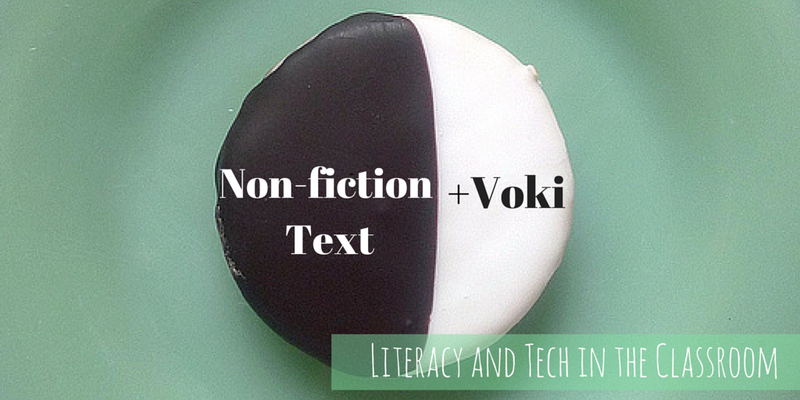 This week we have our very own ambassador Emily Paschall with us, blogging about how she was able to integrate Voki into her non-fiction text lesson. Watch the video at the end of her blog post to get an insider’s look on what this lesson really looks like in the classroom. I am a third grade teacher at Tanner High School, a small K-12 school in Athens, Alabama. I have worked for Limestone County Schools for four years now. My whole purpose for this blog is provide teachers worldwide with new and fun ideas on how to implement technology in the classroom! This year, our school superintendent, Dr. Tom Sisk, implemented our Digital Passport Initiative which has allowed for our 3rd and 4th graders to be 1:1 with their very own MacBook Air! Within the next 4 years, all students in grades 3-12 will have their own MacBooks. What an exciting experience this has been so far! There are so many more opportunities where I can provide a deeper understanding of the standards now than I could have ever imagined! Recently, we were studying non-fiction text in our Wonders Reading Curriculum. The different texts we read all week were centered around different types of energy. I knew before the week began that this was going to be a difficult topic for my students to comprehend, so I collaborated with my technology facilitator and we came up with a simple and fun project for the students to do. If you haven’t used Voki.com in your classroom yet, you are missing out! A voki is an educational tool that allows you to create your own talking avatar! What kid wouldn’t love that? You can find a use for a Voki in all subject areas. I have included a video of myself teaching HOW to use Voki in the classroom! My hope is that this provides you with a fun, simple, and quick way to make learning more enjoyable for your students!